Our Eyes Opened: kirill's story. Two years ago Greg and I began praying for God to do whatever he wanted with our lives. We handed him a “blank check” so to speak, and told him to cash it. Adoption became something that he was showing us he wanted for our family. We began to pray about adopting a child with special needs. Greg and I have a lot of experience with children who have special needs. I have a degree in Early Childhood Education. I am a member of the Board of Directors of Best Buddies of Alabama. I have volunteered for RISE and Eagles’ Wings. All of these organizations serve individuals with special needs. Greg and I are blessed to have close friends and family who have special needs and we are a big part of each other’s lives. Our wedding party included some of these special people. Our involvement with individuals with special needs led us to adopt a child with special needs; specifically, we chose Down Syndrome. As we prayed, God opened our eyes to children with disabilities wasting away in orphanages across the ocean in Eastern Europe. We joined God and started our adoption journey of a child with Down Syndrome. So here we are, asking God to move the mountain that is standing between Kirill and us as we appeal to the Supreme Court in Moscow. There are also three other families who are in various stages of adopting children with Down Syndrome from Kirill’s region; one of the families has a court hearing set for next week. 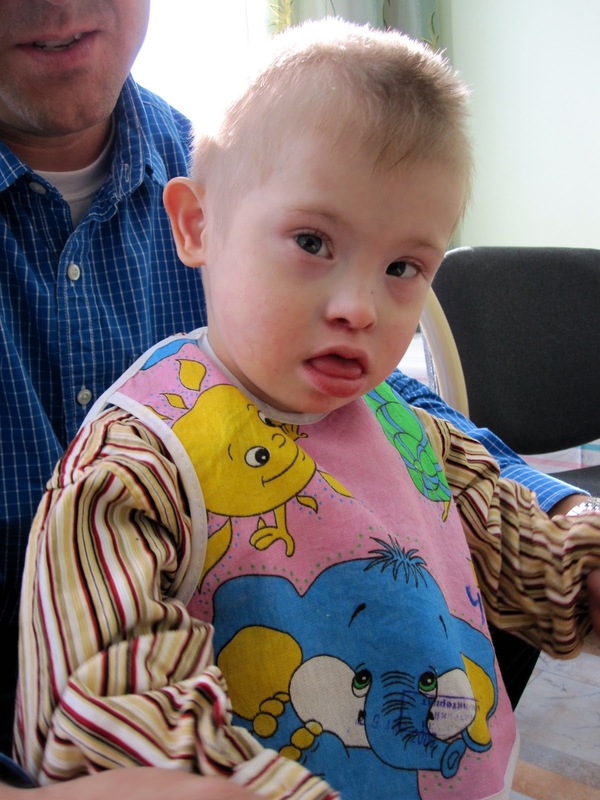 Kirill's adoption will set the precedent for many other children in his region. There are 98 children in his orphanage with special needs alone. It is one of many orphanages in this region that houses children with special needs. This is about more than just one child, the lives of hundreds of children with special need are at stake. Please pray for us as we fight for our precious Kirill. UPDATE: We went to the Russian Supreme Court on May 24, 2011 and won our appeal! Kirill came home on June 8, 2011. he is healthy and thriving at home now. We are thankful for God's sovereignty and humbled to be a part of Kirill's miracle story. You can read all the details in the blog archives from May 2011-July 2011.